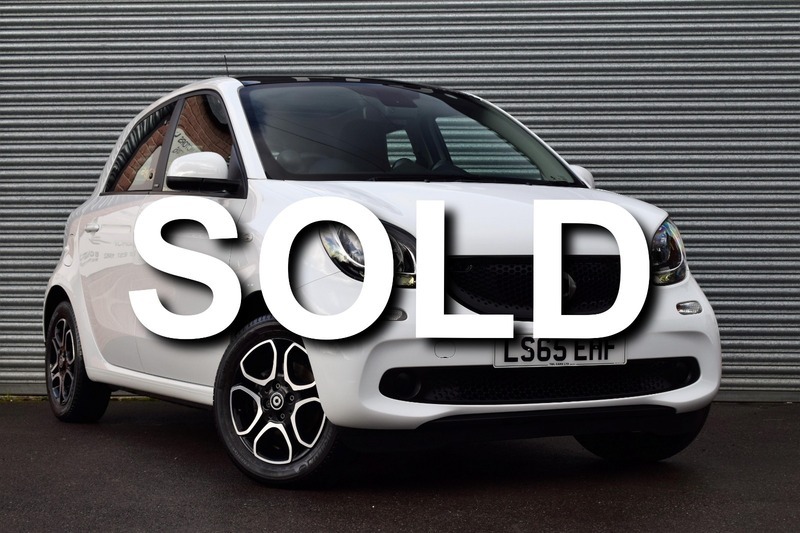 TML Cars are proud to present this immaculate Smart Forfour in as new condition with zero road and super low miles. 1 Owner from new + Demo, 2 Keys, Service history, 3 services 2016/3k, 2017/6k, 2018/9k. Looking Great Outside, Inside And Around - Mp3 iPhone iPod USB & Aux Music Ports, Bluetooth Wireless SmartPhone Connectivity, Cruise Control, Day Running Lights, Tinted Glass, Engine Start/Stop Fuel Saving Technology, Electric Hill Holder, Stability Control System, Electronic Brake Distribution, Hydraulic Emergency Brake Assist, Isofix, Flat Tyre Indicator, Front Electric Windows, Euro 6 Compliant Emissions. CALL NOW 01963 292081. Reserve this car for £100 over the phone. Fully prepared and ready to drive away. We'd be delighted to have your existing vehicle as Part Exchange and can offer very competitive finance packages. We're friendly, easy to deal with and above all have a reputation for customer service that means you will always have peace of mind. Free 12 Months AA Roadside recovery included (email address required). 3 Month/3,000 mile Warranty. All cars professionally valeted and HPI Checked. Apply for finance on our website, adjust the term, monthly payment and deposit to suit your needs and click apply. Every effort has been made to ensure the accuracy of the above information but errors may occur. Please check with a salesperson.